Here is an update to the foreclosure list I posted for the Wilshire Corridor a few weeks ago (Wilshire Corridor Foreclosure List). A couple price reductions and one going into escrow quickly. The REO at the Ten-Five-Sixty building, 10560 Wilshire Blvd. #1003 listed for $974,900, went into escrow after 11 days active on the market. The last purchase was back in 2005 for $1,300,000, which represents a 25% drop. This is a little more than average price decline, since peak 2006, of 20% for the corridor. The Ten-Five-Sixty building, built in 1982, is full service and comes with an HOD for this unit of $1,841.75 per month. According to the MLS, the unit is a 2 bedroom / 3 bath with 1,935 sq ft of living space. 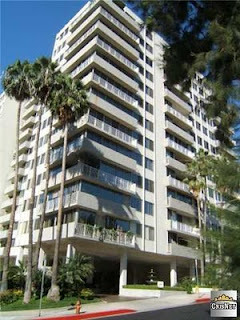 The REO at The Dorchester, 10520 Wilshire Blvd. #202 received a 6.29% or $43,000 price reduction, down to $641,000. The unit has now been on the market for 60 days, starting with an asking price of $724,000. 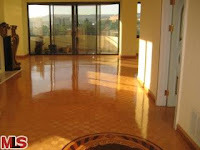 The last listing period for this unit was back in 2006/2007 when it expired with an asking price of $955,000. I have to go back 11 years to 1998 to find a previous sale of this unit for $399,999. According to the MLS, the unit is a 3 bedroom / 3 bath with 1,817 sq ft of living space. The Dorchester is a full service building with the only rooftop pool on the Corridor. HOD's are going to run you $1,218 per month. Fyi, The Dorchester is the only building with no balconies on the Corridor. The REO at Wilshire Holmby, 10433 Wilshire Blvd. #509, just received a small price reduction today of $6,000, down to $624,800. 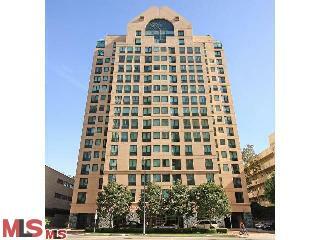 The unit has been on the market 97 days now with 4 price reductions totaling $45k. According to the MLS, the unit is a 3 bedroom / 3 bath with 1,824 sq ft of living space. HOD's are $1,505 per month for this full service building built in 1963.